When cinema wizard Amy Smart sent me this exciting BFI poster brief up on Talenthouse, I hastily signed up for an account and added it to my projects to-do list. In the early am on the day of the deadline, I set about turning one of my Future C U R I O U S kano illustrations into a functioning poster to fit the spec, finding the illustration pretty spot on to reflect my idea of the future of film-making as immersive, imaginative and DIY. 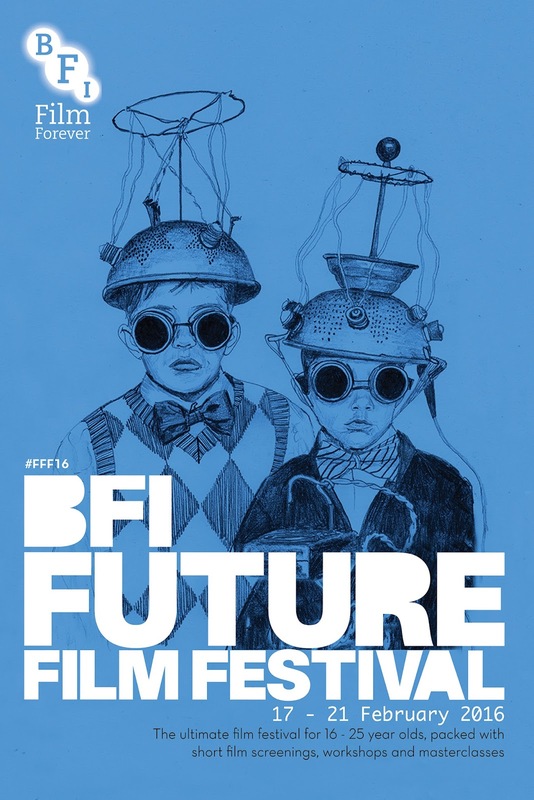 After being chosen as one of the shortlisted designers, I was interviewed by The BFI on skype and considered alongside 4 other finalists for the full design commission to produce the full Future Film Festival suite. Naturally this was thrilling and utterly terrifying, but I enjoyed speaking on the design, a short statement on which can be read online here. On this occasion my idea wasn't selected as the final design, but congratulations to the winner and all who took part. For me the process has been a great opportunity to connect with a prestigious organisation, and a confidence boost with regards to the functionality of my drawings within a broader design context.